We note the music played in the episodes in our page on that episode. we also offer this summary page of music for the first half of the Second Season of House MD. We also have such a page for Season Three music. For anything from a particular episode, please see the page on that episode. Music at the end is Jeff Buckley's version of Leonard Cohen's "Hallelujah" from Buckley's CD "Grace". You can listen to a sample near the bottom of the main Amazon page. Christina Aguilera's song "Beautiful" from her album "Stripped" is the music in the teaser as we see Andie at home. At the very end of the episode (with House after he leaves the hospital) Elvis Costello is heard in a "cover" of the same song (currently unavailable). 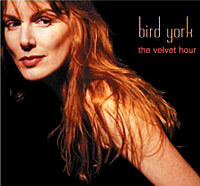 Near the end of the episode — up to the point at which the patient leaves the hospital — the song in the background is Bird York's "In The Deep" from her CD "The Velvet Hour". This song was identified in the closed captioning. What was the Opera House was listening to on his iPod in the locker room before and after he had his team listen to the heart beats? "Nessan Dorma (no one sleeps) from Puccini's Turandot". This whole opera is available on this album "Puccini - Turandot / Sutherland · Pavarotti · Caball� · Ghiaurov · Krause · Pears · LPO · Mehta " although we do not know if this is the version that House was listening to. See more information on how this opera relates to the episode. Near the end of the "Humpty Dumpty" (as House looks at the rain and Cuddy deals with the leaking roof) the song in the background is Damien Rice's "Delicate" on the CD "O". 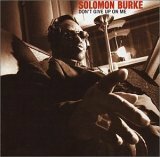 The song at the end of "Spin" was Solomon Burke's "None Of Us Are Free" (Mann & Weil / Russell) which is available on his "Don't Give Up on Me" album. Amazon offers a clip of the song near the bottom of the full page on that album. Song at the end of "Hunting" was Amos Lee's "Colors" available on his "Amos Lee" album. To verify this, go to this link and then click on the album in the lower part of the main page that comes up, they will allow you to hear pieces of songs from this album including "Colors". "Honky Tonk Women" was being played in House's apartment at the end. This was by Taj Mahal and is available on the "Blue Light Boogie" album. In a future episode, House takes a shower at the hospital while Pink Floyd's "Breathe" is played. This song is on the "Pulse" album, available Sept, 2006.